We really do love our pets! Many pet owners have realised that with escalating vet fees they would not be able to pay for veterinary treatment should their pets have an accident or suffer from a chronic illness, and that consequently, pet insurance is the only option available. That doesn’t, however, mean they are limited in their options with regard to taking out a pet insurance policy, as there are many insurers with many plans to select from and you are likely to have to make many more decisions than you perhaps expected when taking out an insurance policy for the first time. As that’s so, there are a number of things that you need to take into consideration when searching for a suitable pet insurance policy for your pet, including the following points. These aren’t the only things that you will need to consider by the way, though they are among the most important. This is one of the factors that affect pet insurance premiums the most and there isn’t much that you can do about it except shop around for the most affordable policy, or if you have been with the same insurer for some time, try to negotiate a favourable premium if you haven’t been making many claims. To give you an idea of how much your pet’s age affects the insurance premiums you pay, the cost of insuring a ten year old dog would be roughly double that of insuring a two year old dog of the same breed. 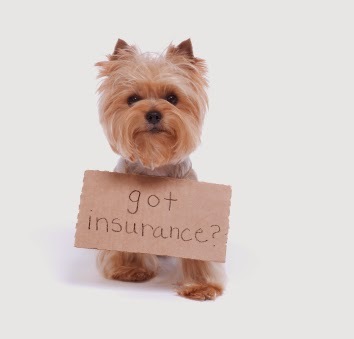 Read through a few pet insurance reviews to get an idea of how premiums rise based on age between competing insurers. As some breeds are at greater risk of certain medical conditions than others, the breed of your pet is another factor that you need to be aware of when searching for an insurance policy. Some breeds are notoriously expensive to insure, for example, a Chow Chow (Songshi Quan) can cost up to four times as much to insure as a mongrel of the same age. Also, bear in mind that larger dogs are generally more expensive to insure as they tend to suffer from health conditions earlier than smaller dogs. A handy tip in this regard is to get in touch with a breeder’s association to see if they can recommend an insurer that offers competitive fees. Where you live also affects pet insurance premiums, so take this into account when comparing insurance plans from competing insurance providers. As vet fees are usually more expensive in larger cities, you can expect to pay more to insure your pets if you live in a large city than a small town. According to an article in the Telegraph, some insurers take into account quality of life when calculating premiums and you could access lower premiums if you reside in a rural area and it’s perceived that your beloved dogs lead an active lifestyle. Just a few things to think about!